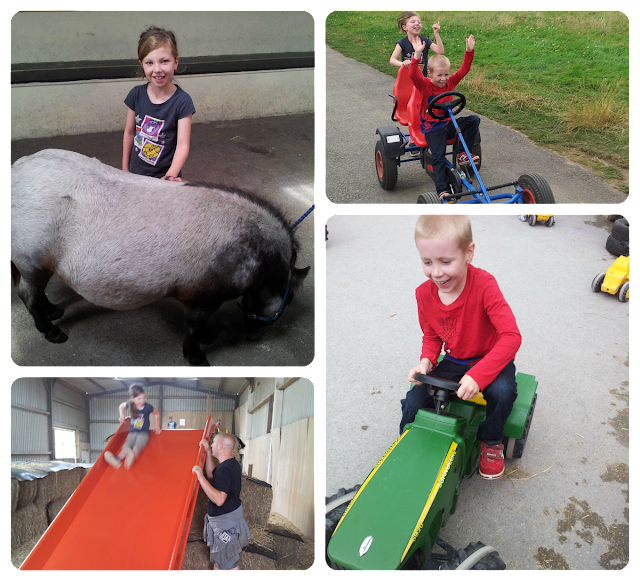 Farmer Palmer's Farm Park is situated in Poole, Dorset and is perfectly designed to suit children up to the age of 8. 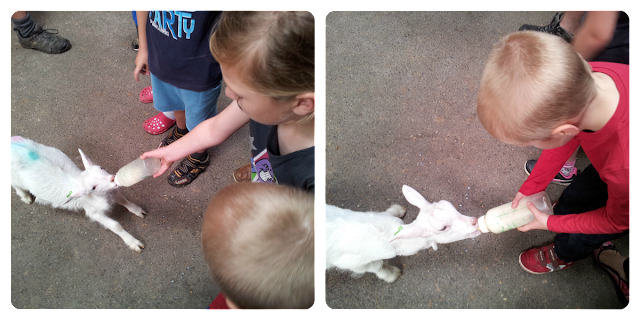 With events planned throughout the day and lots of interaction with animals we were certain to have a fantastic time. There were lots of helpful staff at the entrance so queues moved quickly and we soon headed outside with our map and schedule in hand. The layout is great; plenty of room for prams and not much walking for little ones to get to the next section to play. The restaurant, kiosk and toilets are quite central so they're never far away and there are even lower sinks for little ones to use and a hand cleaning station outside. We started off with pig racing. Everyone seemed to love picking which of the four pigs they thought would win and there was plenty of cheering when they came running along the track to the tray of food! Next up the Mini Mes were keen to head to the play area. 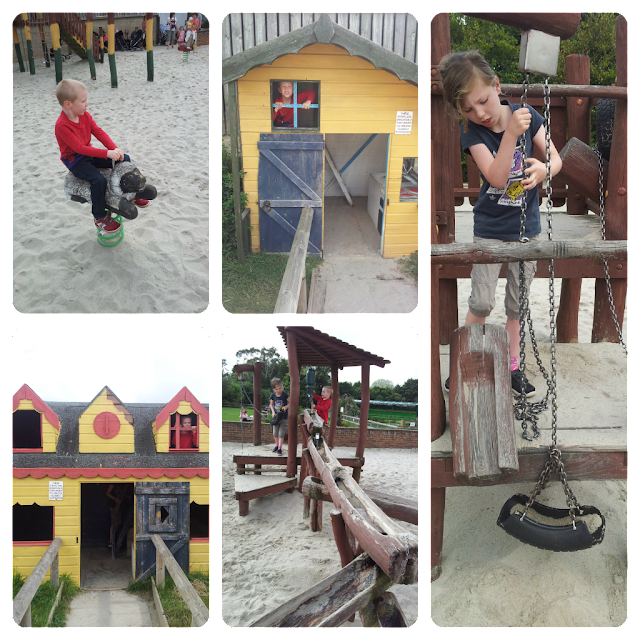 With play houses, swings, slides, climbing apparatus and more there was lots to keep them entertained. 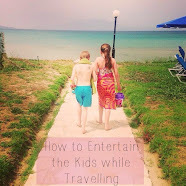 With a sand floor there was always a soft landing which is ideal for little ones. 11.15am is the first bottle feeding session so we popped next door to the barn ready to feed the goats. Despite there being lots of children and only a few bottles everyone had a turn! It was fantastic that staff ensured bottles were passed around so every child got to feed an animal, even if only for a few seconds, so there were smiles all round. The restaurant opposite was very tempting so we headed there next for lunch. With a varied hot and cold menu there was lots to choose from and plenty of seating including high chairs for those that require them. 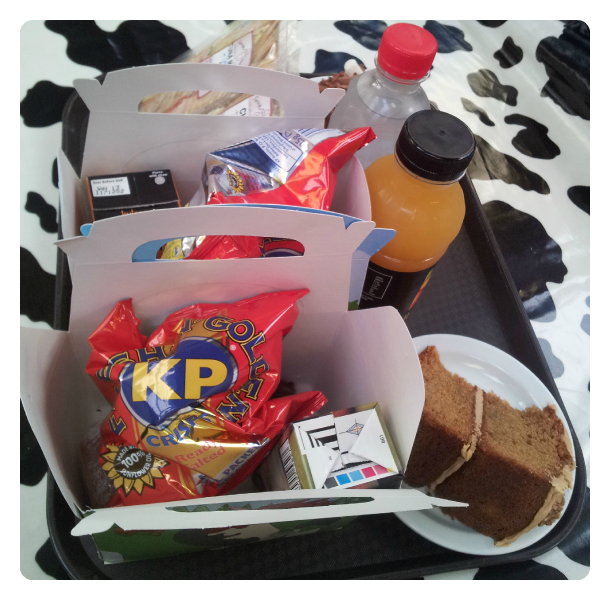 Meals were reasonably priced with a child's lunch box containing sandwiches, crisps, a drink, yogurt and raisins costing £3.25. Just after eating there was pony grooming so we lined up to get involved, both of the Mini Mes were eager to take part. We then had a go on the pedal go karts (which were great as adults could join in too!) and had some fun inside at Straw Mountain where there were plenty of hay bales to play in and a variety of slides. 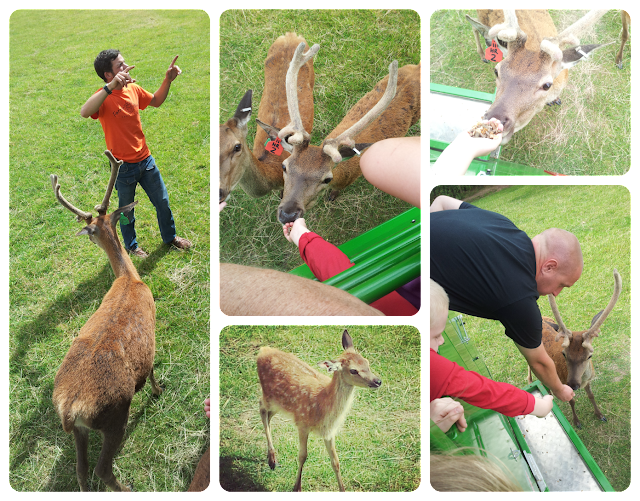 At 2pm there was the deer safari with an additional charge, £1 for children over 2 and £2 for adults, but it was well worth the small fee. The tractor trailer ride is an experience in itself but getting to stop and feed deer was wonderful. The driver was very informative, ensured everyone had plenty of food to feed the animals with and he passed around some antlers to look at too. At this point we decided to begin our journey back to camp, after a well needed drink and ice cream. Apart from what we enjoyed there is the opportunity to hold guinea pigs, watch cow milking, bottle feed baby deer (additional charge) play on the bouncy castles and in the sand and water area and explore the maize maze and woodland walk. It truly was a lovely day out and with a family ticket (2 adults 2 children) being priced at £28.50 it's definitely good value. 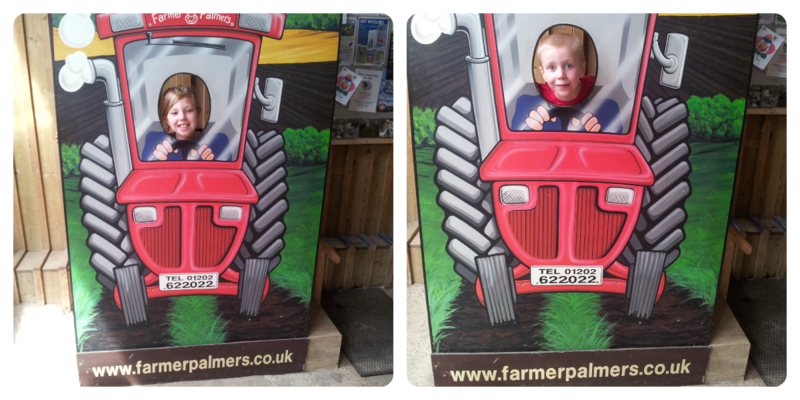 That looks like a definite thumbs up for Farmer Palmers! We really must get there and Meet them one day. The 1st place like this where the lunch is a fair price too. Thanks for sharing a great day out. What an amazing place! My boy would love it here. We like visiting farms for him to see the animals in real life. That looks like loads of fun and good value too. Love the pigs and the deer. I've heard a lot about Farmer Palmer's but never been myself as we don't ever seem to be that end of Dorset. Looks great fun though.